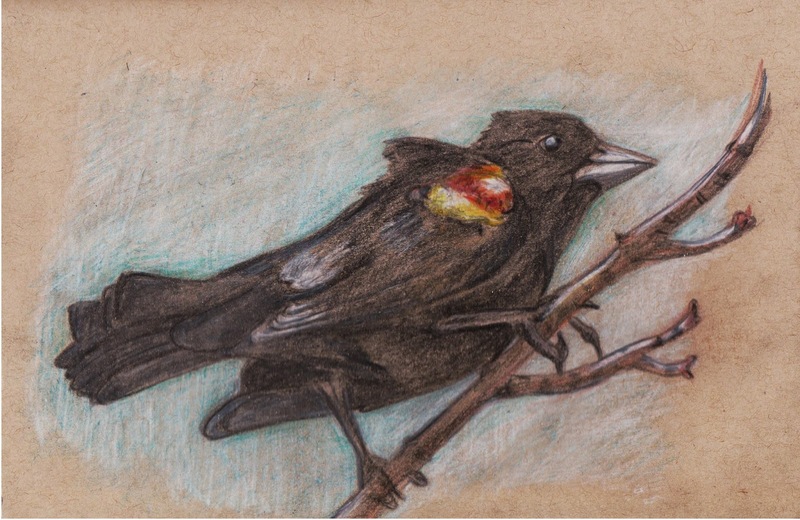 Above is my sketch of a Red-winged Blackbird. The males of this species fiercely defend their territories during the breeding season, spending more than a quarter of daylight hours in territory defense. The Red-winged Blackbirds chase other males out of the territory and attack nest predators, sometimes going after much larger animals, including horses and people. 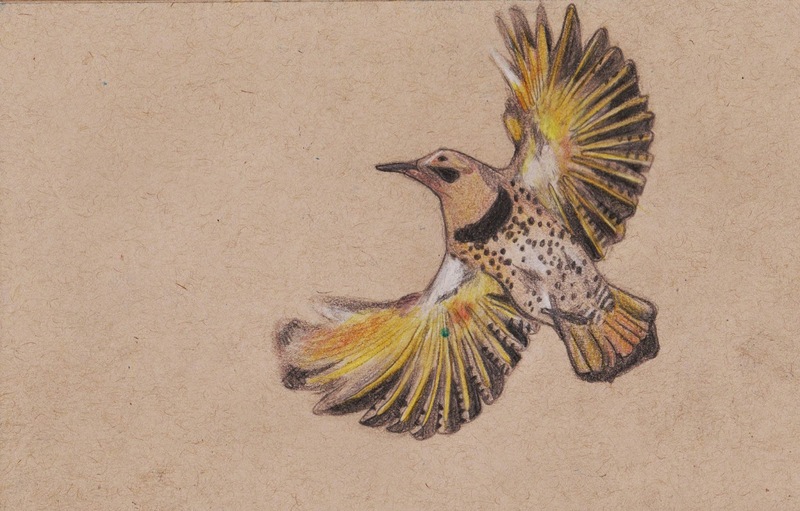 This is my drawing of a Northern Flicker. They are fascinating birds: although they can climb up the trunks of trees and hammer on wood like other woodpeckers, the Northern Flicker prefers to find food on the ground. Ants are its main food, and the flicker digs in the dirt to find them. It uses its long barbed tongue to lap up the ants.